An appropriate farewell to the apping glow in the dark gnomes. 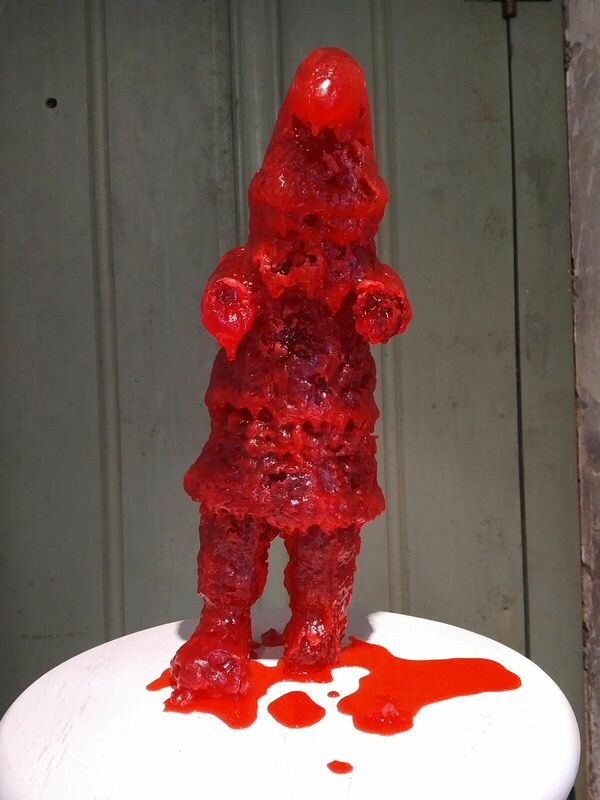 This final gnome is an intriguing yet cruel reference to the circle of life. The king is dead, long live the king. 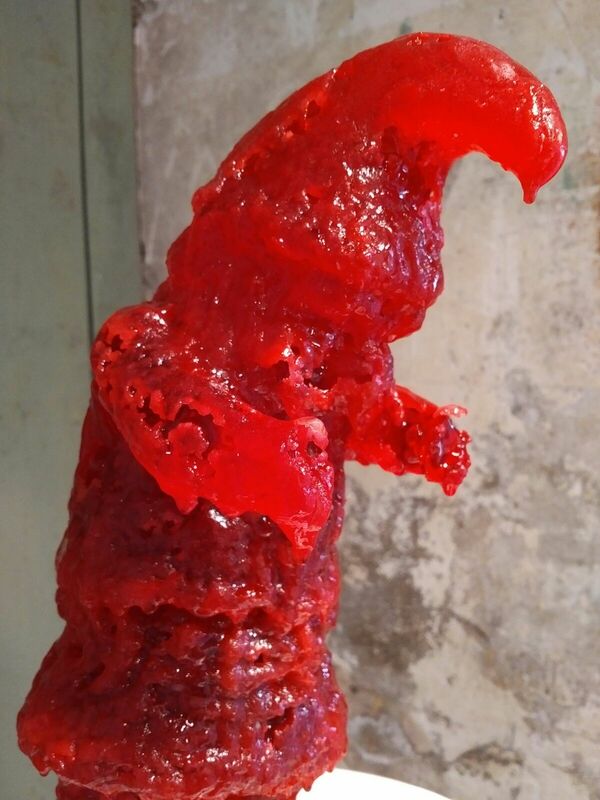 The sculpture has been poured in lollipop over half a year ago and since then has slowly disintegrated into a wrinkled version of itself. The candy has become sticky and as far from a treat as possible. On display 20-21 May in my studio at Fort Nieuwersluis at the open studio Kunstronde.